I will never buy ranch dressing again. I made this ranch dressing for a family member who is on a very restricted no salt diet. 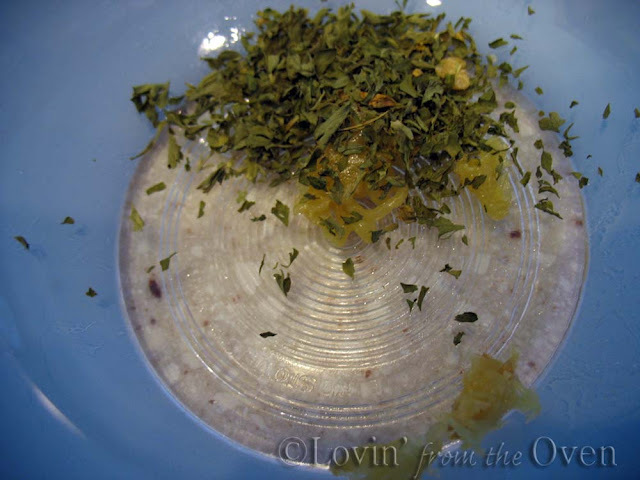 This dressing was a nice change to the vinegar/olive oil dressing that he has been using. The story begins with roasted garlic that I keep in my freezer. I love the mild sweetness that roasting brings out in garlic. 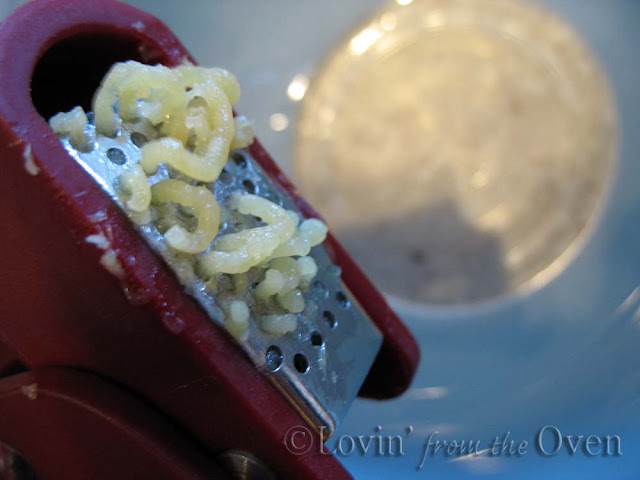 It smooshes well in my garlic press, which I love. 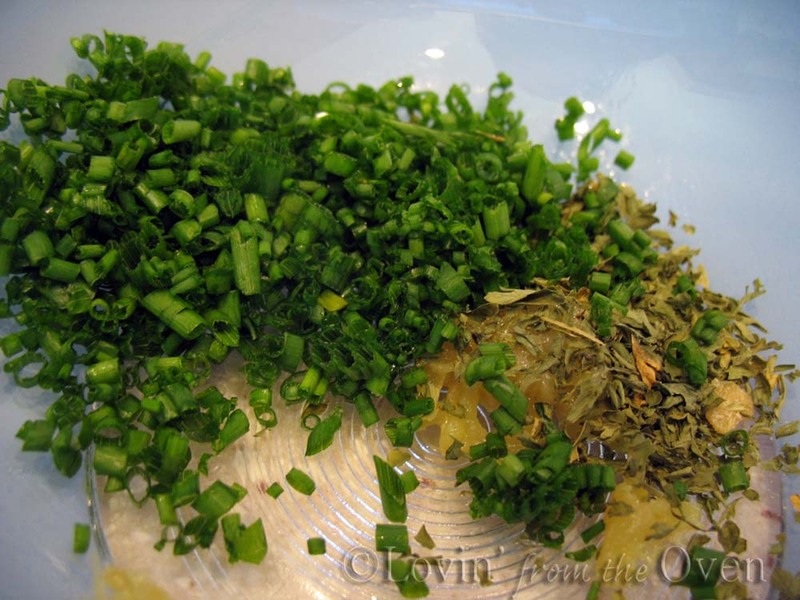 The dill (or dill weed) and chives grow from seed year after year. They are rinsed and spun dry in my OXO salad spinner. 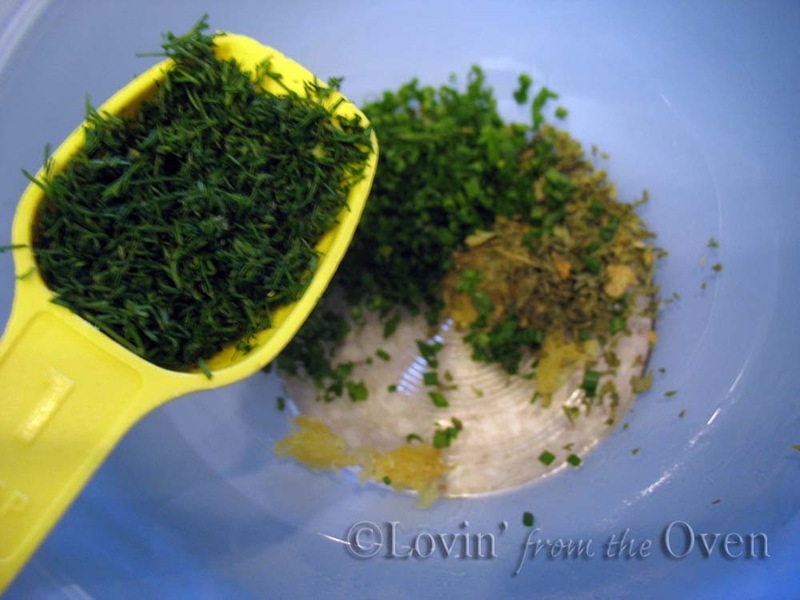 and here comes the finely chopped dill weed. My mom has never used the feathery dill that first comes up in the summer. 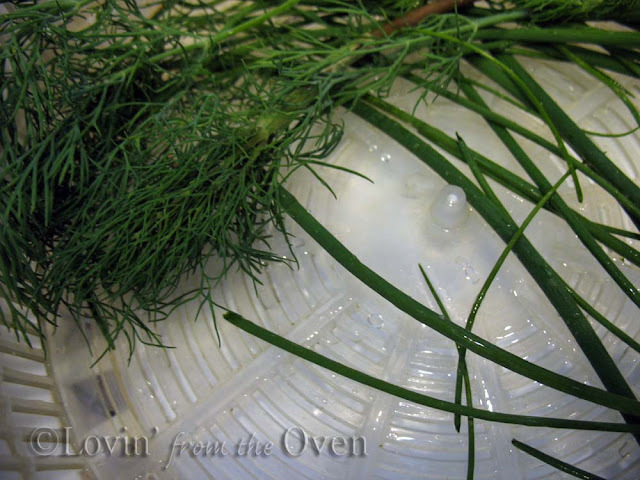 She waits until late summer when the dill goes to seed to use in pickles. Next is mayonnaise. 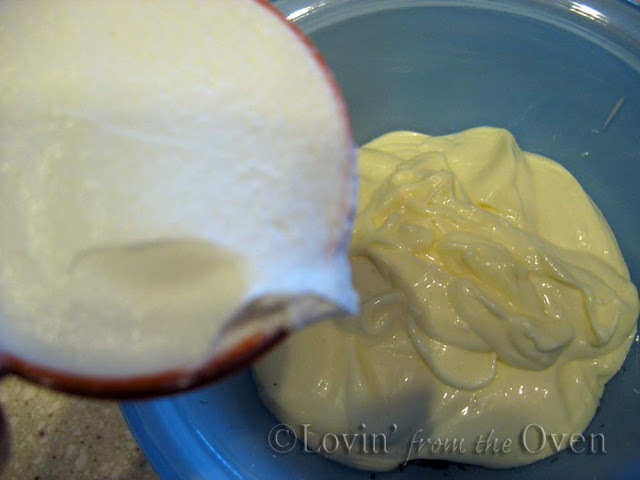 I made this mayo with my immersion blender in less than five minutes. If you have never made mayo, you need to do it. It is SO easy! Here is the sour cream. Go for the real stuff. No light or non-fat. You can use homemade plain yogurt, if you wish. There is more salt and sugar in the reduced/light stuff. Next is any kind of vinegar you want: white, apple cider, or red. Whatever floats your boat. I love using homemade apple cider vinegar, and it is super easy to make in the fall, when the apples are ready. Give everything a quick stir. At this point you can call this DIP. Veggie dip or chip dip. 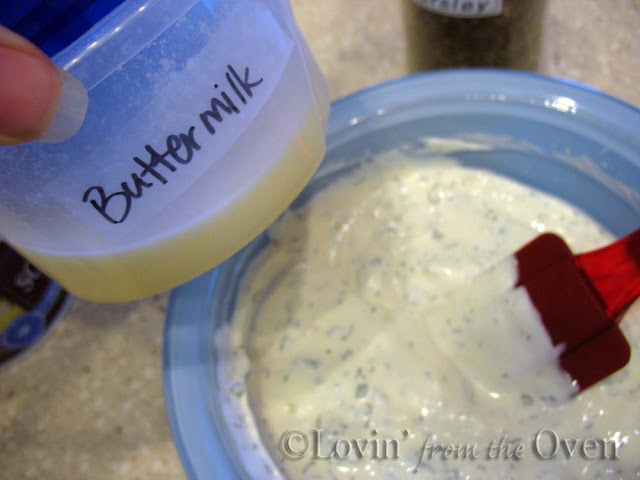 Add a couple of tablespoons of homemade buttermilk (left over from making butter) and what do you have? and a salt-free version for someone I love. 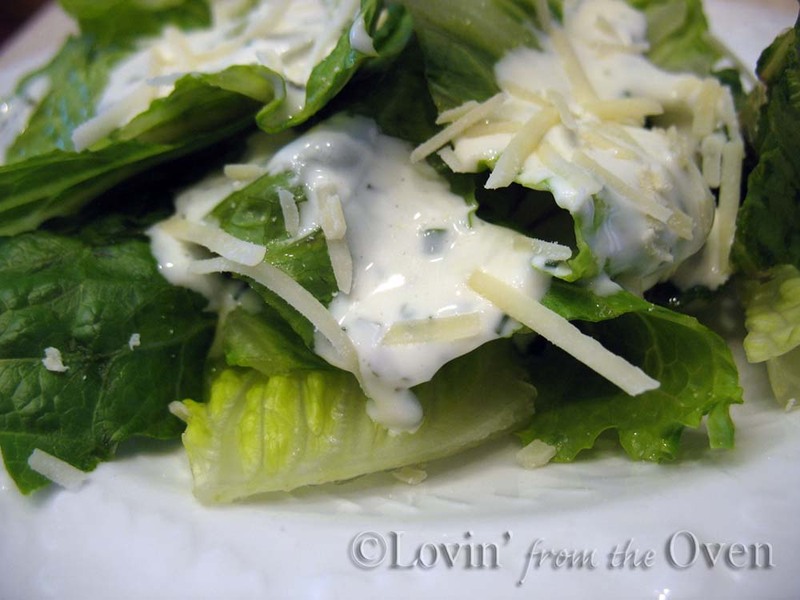 Creamy, fresh ingredients come together to make a simple, yet wonderful salad dressing that has so many uses. If buttermilk is not available, you can make soured milk or use powdered buttermilk. 1. 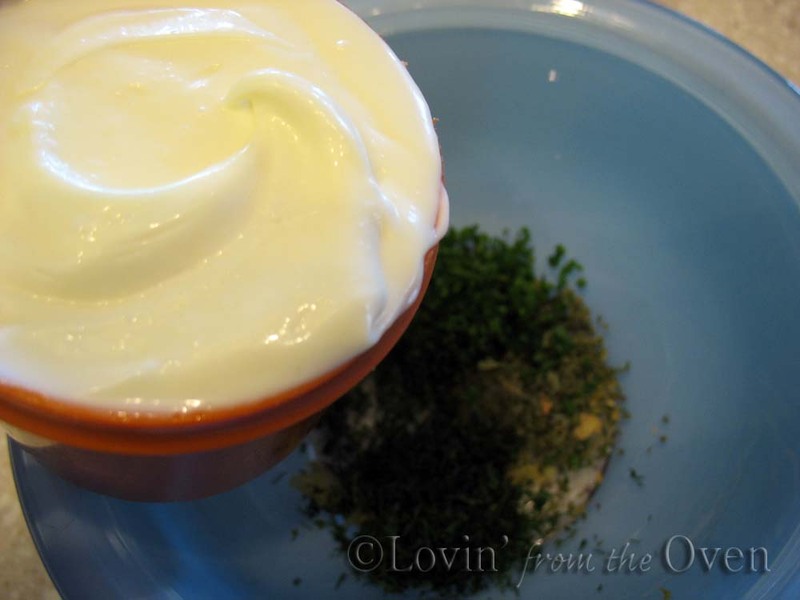 In a small bowl, combine garlic, salt, parsley, chives, dill, mayonnaise, & sour cream (or yogurt).2. Stir in apple cider vinegar and sugar.3. At this point, the dressing is thick enough for a veggie or chip dip.4. Add buttermilk (or soured milk) to desired consistency for salad dressing. Chill for 2 hours before serving. I love homemade dressing. I've been making my own for three years now and can not stand the taste of bottled dressings anymore. Frieda I think we both think a lot alike, we will have to meet up one of these days. I've also been playing with making my own dips instead of using the dry mixes from the stores. Norah, I would LOVE to meet you in person! One of my goals is to make my own salad dressings and marinades for grilling this summer. Yum! 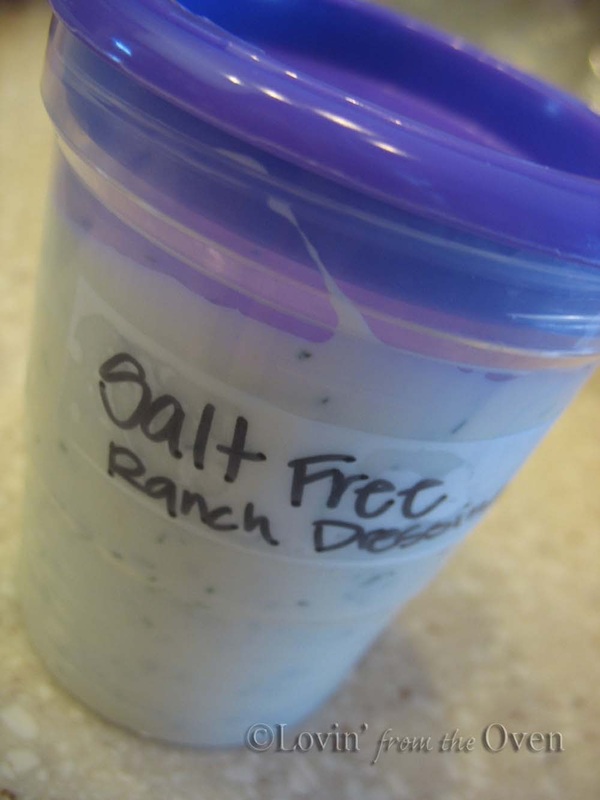 We go through ranch dressing (kids call it "sauce") like it's water in our house! I'll have to try making my own!